February 28, 2014 -- Twelve experienced radiologists with a diverse range of skills and special interests have joined the editorial advisory board for AuntMinnie Middle East. The advisers come from a range of countries, and they will help to oversee the editorial direction and development of the Middle East Digital Community, which went live in November 2013. You can read more about them below. 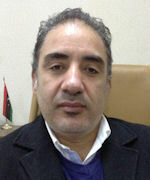 Dr. Abdussalam Abograra is head of the Libyan Board of Radiology and an assistant professor in diagnostic radiology at the Tripoli Medical Center, where he is also head of the radiology department. His area of special interest is diagnostic cross-sectional imaging. 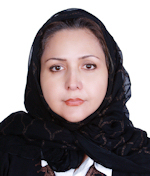 Dr. Abeer A. Al-Mulla is a body-imaging consultant radiologist in the medical imaging department of KFSHD, where she also serves as chairwoman. As chairwoman, she has established a new foundational scope in diagnostic radiology, interventional radiology, nuclear medicine, PET/CT, and cyclotron projects, focusing strategic initiatives on infrastructural components. As a subspecialized body imager, she performs radiologic procedures via advanced protocols for abdominal and pelvic MRI studies, CT studies, and other modalities. Dr. Abeer has an Executive Master of Science in Health Administration from the University of Alabama at Birmingham, and she completed her fellowship in body imaging at King Faisal Specialist Hospital and Research Center. 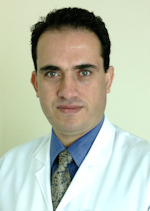 Dr. Ashraf Selim is a professor of radiology and the head of women's imaging at Cairo University. He introduced mammography at the university and was in charge of the first private clinic to provide patients with mammograms. 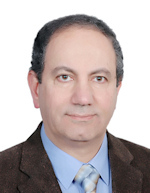 He is an associate editor of the Egyptian Journal of Radiology and Nuclear Medicine and a reviewer of the International Journal of Paleopathology. He is also the chairman of the Ladies Health Alliance, founder and president of the Egyptian Society of Women's Imaging and Health Care, and a board member of the Egyptian Society of Radiology and Nuclear Imaging. In addition, he is a consultant for the Ministry of Health’s National Screening Project for the Early Detection of Breast Cancer, and he was the head of the scientific team of the Royal Egyptian Mummy CT Scanning Project conducted by the Supreme Council of Antiquities from 2005 to 2011. Dr. Atheer Adnan Fadhil Khalaf is general secretary of the Iraqi Association of Radiologists, having been elected to the position in 2010, and is a radiology lecturer at the Medical College at Baghdad University. He was a member of the advisory committee of radiology in the Ministry of Health between 2008 and 2010, and he has been a member of the technical committee of radiology in the Ministry of Health since 2010. He supervises and reports conventional radiological studies, as well MRI and CT examinations for the whole body, and also performs ultrasound examinations. 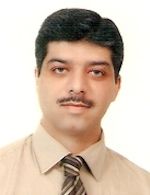 Dr. Ather Ali Radwi is a consultant and cardiothoracic radiologist at K.A.U. Hospital, which can now accommodate up to 895 patients. He is president of the Radiological Society of Saudi Arabia and chairman-elect of the Cardiac/Pulmonary Imaging Fellowship Committee of the Saudi Commission for Health Specialties (SCFHS). He graduated from K.A.U. School of Medicine in 1995. In 2005, he became a diplomat of the Royal Jordanian Board of Radiology in Amman, Jordan, and a year later he obtained a fellowship in cardiopulmonary imaging at the University of Michigan in Ann Arbor, U.S. 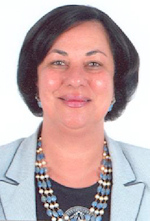 Since 1998, Dr. Dorria Saleh El Sayed Salem has been a professor in the department of radiology at Cairo University. She is a radiology adviser to the Minister of Health, general manager of the Women's Health Outreach Program (National Screening Program of Early Breast Cancer Detection), head of the Egyptian foundation for breast cancer elimination, and manager of the Egyptian-Swiss Radiology Rehabilitation Project. In addition, she is secretary general of the Egyptian Society of Women's Imaging and Healthcare, head of the women's imaging unit at Cairo Radiology Center (Cairo Scan), and founder of the women's imaging unit in the department of radiology at Cairo University. Dr. Jamal Alkoteesh undertook his specialist training in radiology at the University Hospital of Wales in the U.K. He has worked in international hospitals such as the Prince Philip Hospital in the U.K., Cork University Hospital in the Republic of Ireland, and King Fahad National Guard Hospital (KAMC) in Riyadh, Saudi Arabia. He has performed more than 9,000 interventional radiology procedures in the UAE during the past seven years, and he has established and managed the Radiology Residency Program at Sheikh Khalifa Medical City (SKMC)-Cleveland Clinic and Tawam. He is also chairman of clinical imaging at both Tawam and Al Ain hospitals. 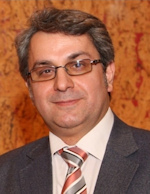 Dr. Kavous Firouznia has been an associate professor of radiology at the Tehran University of Medical Sciences since 2008, having been an assistant professor of radiology at the same insitution between 1996 and 2008. He has been head of the MR section of Atieh Hospital since 2006, editor in chief of the Iranian Journal of Radiology since 2011, and co-editor in chief of the journal Neuroradiology since 2006. 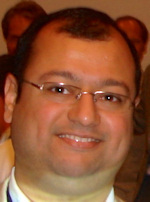 Dr. Mansoor Fatehi studied medicine and radiology at the Iran University of Medical Sciences in Tehran. He undertook his fellowship training at the University of Maryland, in the U.S., due to a grant from the Society for Imaging Informatics in Medicine to research modular structured reporting in musculoskeletal radiology. He was certified by the American Board of Imaging Informatics. Now he is director of the Medical Imaging Informatics Research Center at Tehran and general secretary of the Iranian Society of Radiology. 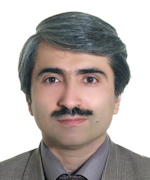 He is the section head and associate editor for imaging informatics for the Iranian Journal of Radiology and is a member of the board of the European Society of Medical Imaging Informatics (formerly EuroPACS). He is also a member of the international relations subcommittee of the European Society of Radiology. 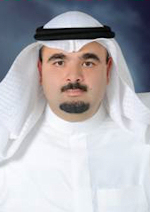 Dr. Nizar Al-Nakshabandi was appointed a professor in the department of radiology and medical imaging at King Saud University in September 2013. He lectures on genitourinary, gastrointestinal, and musculoskeletal (MSK) imaging, with an emphasis on the value of CT, MRI, and ultrasound. He was previously an associate and assistant professor in the same department, having completed his residency training and fellowships in abdominal and MSK imaging at the University of British Columbia in Vancouver, Canada. Dr. Rola Shaheen is the chief and medical director of diagnostic imaging at Peterborough Regional Health Centre in Peterborough, Ontario, Canada. She completed her women's imaging fellowship at Beth Israel Deaconess Medical Center, a teaching hospital of Harvard Medical School, and is now a radiology instructor at the school. She serves on multiple national and international advisory committees, including the technical committee for the global task force of the Harvard Global Equity Initiative, as well as the Jordan Breast Cancer Program. A longtime advocate for screening mammography, Dr. Shaheen is a consultant to the World Health Organization Regional Office for the Eastern Mediterranean (WHO-EMRO) for breast cancer screening in the region, and she is also the Middle East regional director for Susan G. Komen. 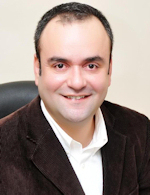 Dr. Şukru Mehmet Ertürk is the admistrative director of the department of radiology at Şişli Etfal Training and Research Hospital in Instanbul, Turkey. He is also an attending radiologist and an associate professor in the abdominal radiology division at the hospital. Formerly, he was a lecturer at Harvard Medical School in Boston. He was also a management in radiology fellow and an abdominal radiology/research fellow at Brigham and Women's Hospital, also in Boston. He served as the scientific president of the 2013 Turkish Congress of Radiology, and has also held various leadership roles in the Turkish Society of Radiology, including president of the Instanbul Chapter, and the Turkish Society of Magnetic Resonance. Since starting his career in radiology 32 years ago, Dr. Tarek A. El-Diasty has been committed to establishing the first full-time uroradiology department and introducing urointerventional procedures to Egypt. More than 50 medical postgraduate students have completed their radiology degrees under his direct supervision. His special research interests are imaging of urinary bladder cancer, renal transplantation, and interventional uroradiology. He is the president of the Egyptian Radiological Society, and he received honorary membership into the European Society of Radiology in 2013.